Billboards Hub Home Why are Green Structural Insulated Panels a Great Choice for Homes? Why are Green Structural Insulated Panels a Great Choice for Homes? These days, many people express their interest in having a “green” home. For some people, it is more about saving money and energy efficiency over aesthetic appeal, while others remain concerned about the environment. No matter the case, structural insulated panels play a great role in a building’s design to achieve a completely “green” outcome. When choosing R-Control SIPs with FrameGuard, it takes just a glance to see exactly why these panels are unique. Since they are green, it helps to provide better identification and a great number of advantages. In general, R-Control SIPs with FrameGuard come with a mold resistant treatment, which is a factory-applied coating that helps to keep the SIP panel safe from the effects of mold, termite damage, and fungus. The combination of anti termite and mold additive technology makes these wood products an unsuitable environment for mold, fungi, and termites, which usually thrive on untreated wood surfaces. A home utilizing R-Control SIPs with FrameGuard ensures that fewer mold build-ups occur, keeps the air clean and contributes to a healthier indoor atmosphere. In construction, SIP panels are widely recognized as the best choice for modern homes that desire to keep environmental factors as a top priority. Between the OSB structural facing, lays the EPS, which is bolstered by termite resistant additive. R-Control structural insulated panels contain no HCFC, CFC, or HFCs that could deplete the ozone layer of the atmosphere. Developed specifically to insulate the home, they help to keep away termites and other factors that could cause health risks to the people living in the building. Through special formulations, components like EPS and OSB undergo transformations into a formidable product for the building. A termite and mold-defying panel, SIPs with FrameGuard offer exceptional insulation and a greater structural support. For a long time now, building owners and experts in the building industry are impressed with the qualities of SIP panels. Introduced three decades ago and spurred with the quality to control energy costs, SIP panels boast a list of benefits that is noteworthy. To begin with, here is a short list of advantages of these panels for construction. Air Tightness: using structural insulated panels for homes ensures a high level of insulation and air tightness. Homes built with these panels automatically qualify as low energy homes. Quality and Efficiency: SIPs provide high levels of structural stability, energy efficiency, and comfort. However, keep in mind that the amount of energy savings depends on how thick the panels are in width. Hurricane and Seismic Resistance: these panels provide stability and structural strength, especially in regions that experience hurricanes and earthquakes. Shorter Construction Time: SIP panels help to cut down the time it takes to complete construction. 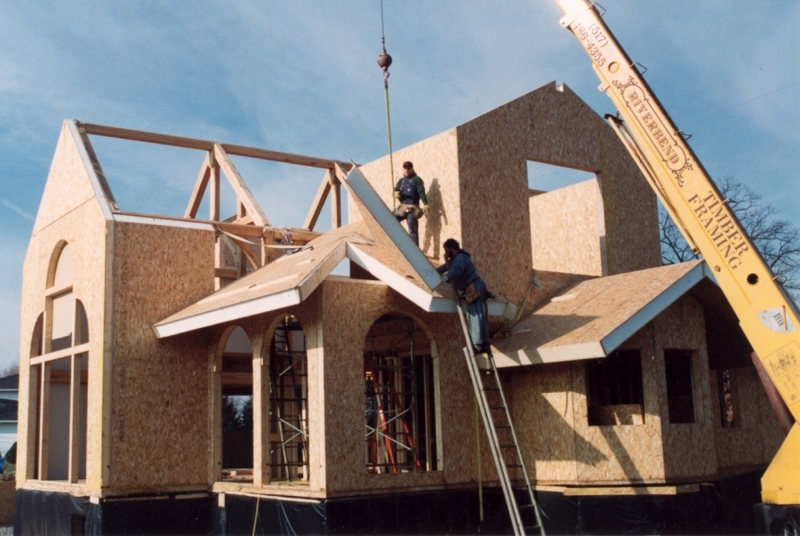 Compared to traditional framing that requires weeks or months to erect a house, SIPs reduce the time by just a matter of few days. Eco-Friendly: SIPs panels are an eco-friendly choice. Along with huge energy savings, they contain recycled content and they are preferred for their green options. Reduced Costs: the installation of Structural insulated panels requires minimum workforce and equipment. The construction costs are not so different from wood frame construction but this depends on the design considerations as well as the type of panels. Reduced Energy Costs: since SIPs provide state of the art insulation and efficiency, they reduce energy bills by as much as 50%. They reduce waste on the job site and lower the chances of onsite theft. Choose a company knowledgeable about SIPs. You can collaborate with their professionals who will work with you throughout the design and installation process. They will ensure that and do all it takes to make your project work smoothly and finish within a short time. The manufacturing of quality SIP panels takes place under licensed manufacturers. They adhere to the strict standards to be sure that builders work with quality EPS products. In the end, structural insulated panels save energy, and are a valuable option. All these benefits are easy to accomplish without sacrificing the design options of your home. To top it off, Green guard coatings help to resist termites, and mold, which can lead to eventual decay.